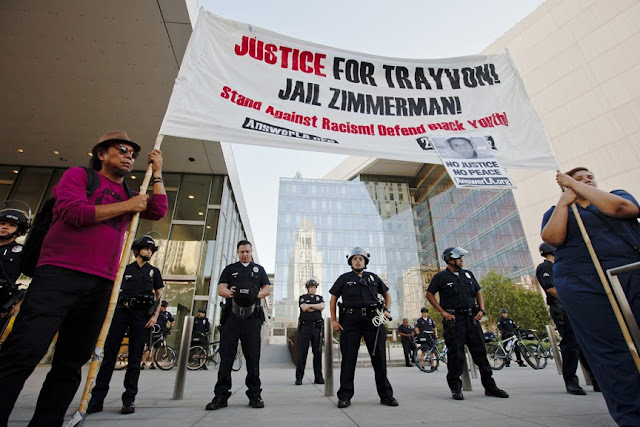 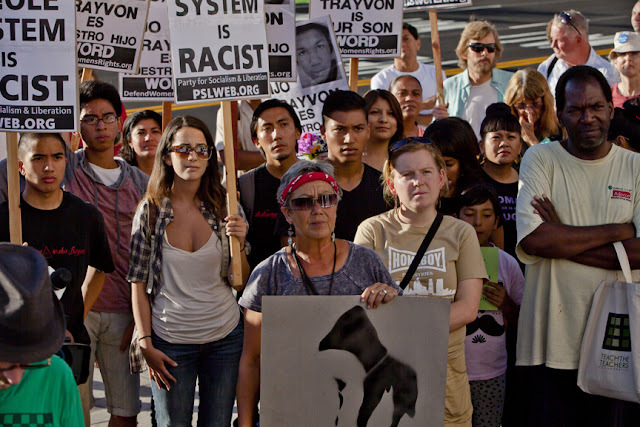 Day three of protest in response to the Trayvon Martin murder verdict in Florida. A crowd of two-hundred plus people marched around downtown and briefly made a stop in front of LAPD headquarters. LAPD had a high profile presence and no trouble was reported in connection with the march. 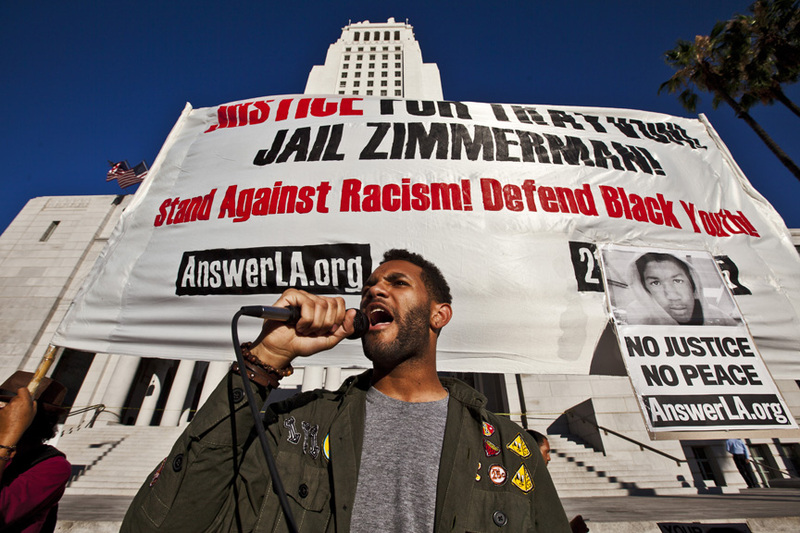 Rally in front of LA City Hall. 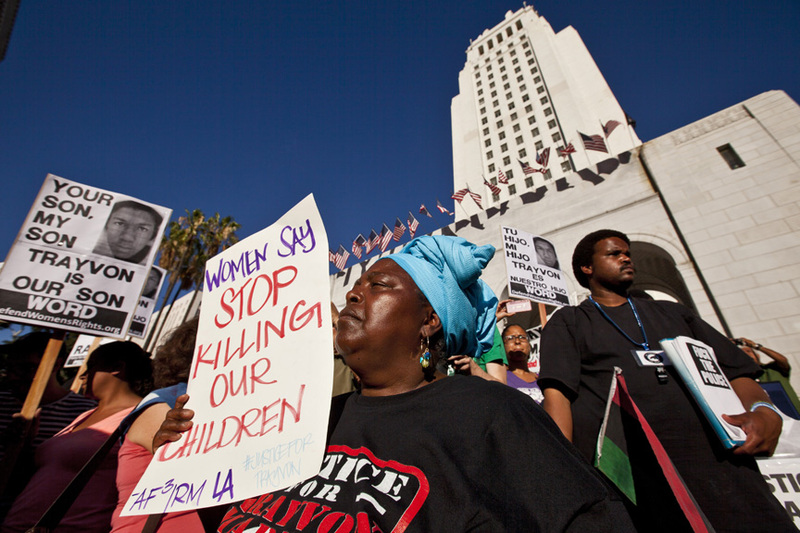 Rally at LA City Hall. 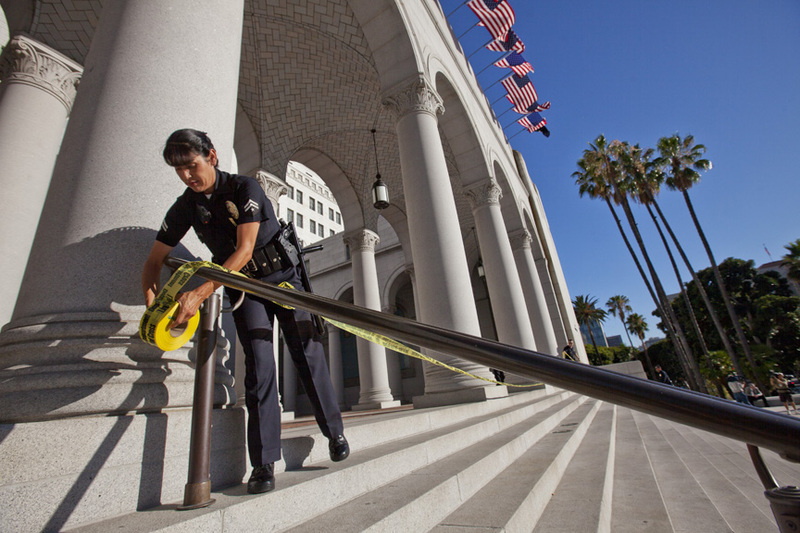 LAPD yellow taping LA City Hall.